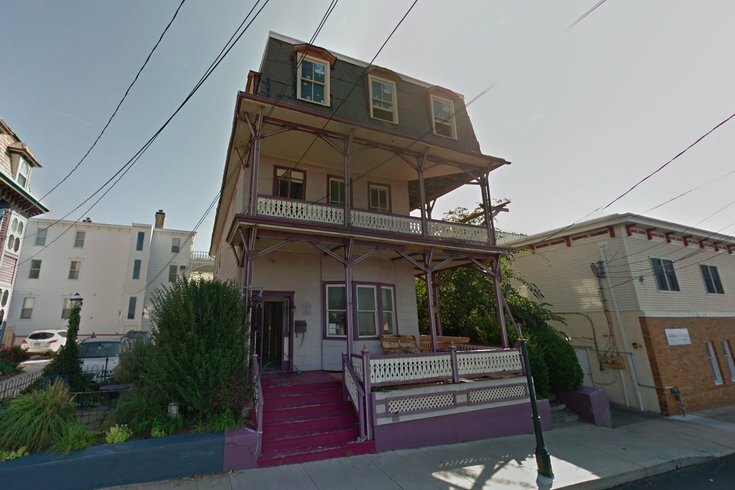 Renovations are underway to reopen 5 Perry Street, a 140-year-old building in Cape May, as a boutique hotel next summer. A dilapidated ocean front property in Cape May, New Jersey, will soon be home to a new boutique hotel as one shore native plans to reopen the space next summer. The building known as 5 Perry Street is in Cape May's Victorian district and dates back to 1879. It originally served as a bed-and-breakfast and has contributed to Cape May's National Historic Landmark status. After being out of operation for many years, Cynthia Mullock, who grew up living and working at her family's own business at the Cape May National Golf Club, set her sights on renovating the building. Mullock envisions the renovated hotel will be a mix of modern amenities with the old world nostalgia palpable in historic Cape May. "Our plans employ imaginative design to spark a sense of wonder and evoke the Gilded Age of the hotel's construction," Mullock said in a statement. Prospective design aspects include vintage-inspired bespoke wallpaper, mosaic tiles, and furniture that mixes period pieces with custom-designed pieces. There will be fixtures made from lumber, copper, and other vintage materials from the 1800s, and you can also expect some clawfoot tubs and exposed brick, among other features, original to 5 Perry Street. The hotel will include 11 suites and will be able to host events for up to 75 people. This is not the first boutique property scheduled to open in Cape May during summer 2019. Lokal, an invisible service hotel with a location in Old City, announced earlier this year plans to open a hotel and wedding venue in the shore town. Mullock recently launched a Kickstarter campaign for the project, and it was selected by website as a Project We Love. The page offers more insight about the property's history, as well as renderings for the updated interior.